Carter is out with an injury. 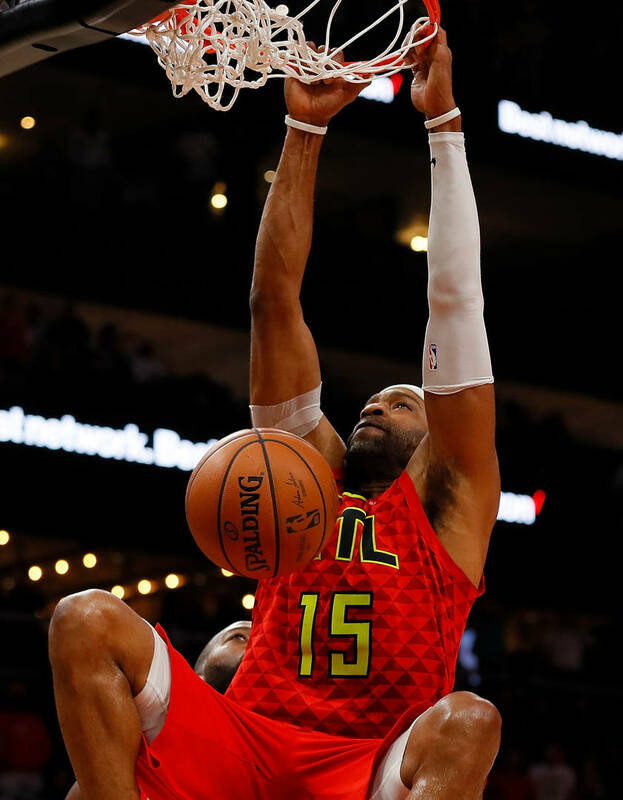 At 42 years old, Vince Carter of the Atlanta Hawks is the oldest player in the league. He is currently in his 21st season in the league which makes him Dirk Nowitzki the only players still around from the 1998 draft class. Carter is a legend of the game at this point considering everything he has done in the league, as well as his status as an elite dunker. The former Raptor has pretty well done it all except for broadcast a game. Well, that will be just another thing Carter can scratch off the list as tonight he will be joining the broadcast team for the Atlanta Hawks game against the Philadelphia 76ers. Now you may be thinking, how is he supposed to do a broadcast if he's playing? It's a legitimate question but it's a simple answer: Carter is injured. This will allow him to join Bob Rathbun and Dominique Wilkins for some gripping basketball commentary. With 21 years of experience in the NBA, Carter will surely have a lot of unique takes to bring to the table. It's not rare that a former NBA star makes their way to the broadcast booth, although time will tell whether or not its a permanent transition.